Cote d'Azur or the French Riviera predominately evokes flashes of turquoise waters, rugged cliffs jutting into the sea, a touch of wealth in every corner and in its glittering casinos and the rich and famous celebrities scattered around like the pebbles on its beaches. 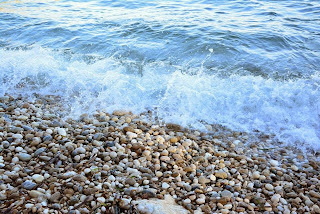 Talking of the pebbles, they are called "Galets" here and were brought down from the Alps by the numerous rivers on their way to the Mediterranean. Though they are now eroded every year by the winter storms, each spring the people here, in love with their natural heritage, spend a fortune to reclaim them back from the sea. 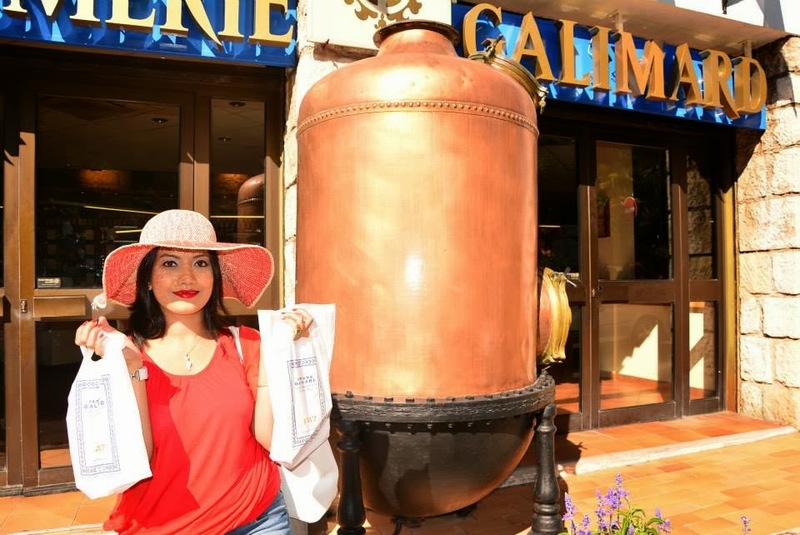 Given the attachment of the locals to their heritage, it was important for us on our visit to the French Riviera to find a location which is rooted deep in the history of Cote d'Azur. 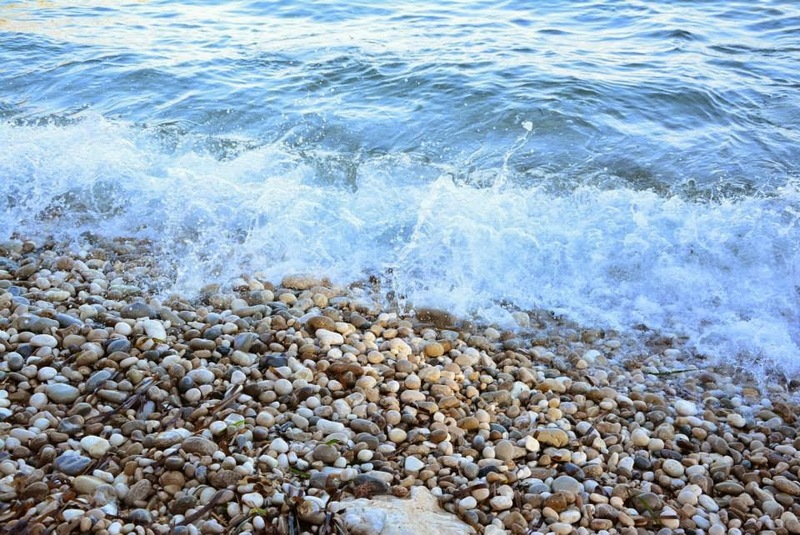 The name Cote d'Azur was given by a French poet, Stéphen Liégeard, which the French seem to prefer. The name French Riviera was however a gift of the British, who (the rich among them) chose this region for their leisure retreat and in turn transformed it as one of their own. This is evident in the main cities of this region namely Nice, Toulon or Cannes. 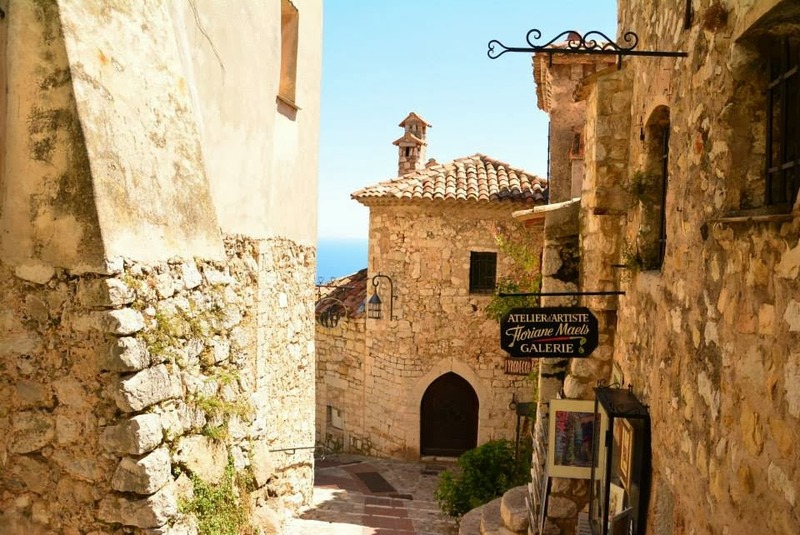 But rarely does the little village of Eze figure in the tourist map of this region but may well be one of the most virgin beauties of the Azuri coast. Eze is a small village perched on a 427m high cliff overlooking the Mediterranean. Settled as early as 2000BC it has over the centuries been juggled between the Romans, Moors, Franks, Spanish and the Turks before being finally occupied by Louis XIV of France. In 1860 the people of Eze unanimously decided to be a part of France and thus stems it current affiliation. The village is served by a train station which lies on the Riviera rail route running along the Mediterranian all the way from Cannes to Nice onto Menton on the French-Italian border and beyond. 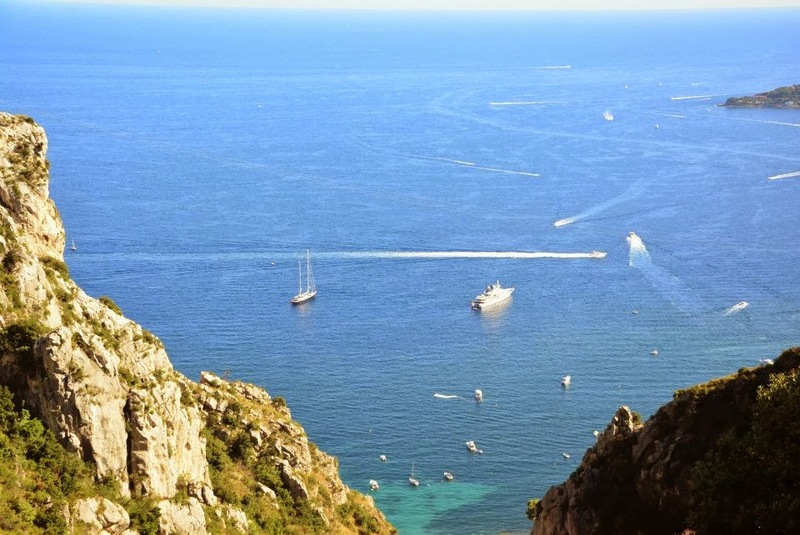 It however may not be the best way to visit Eze if one is not interested in an half an hour climb up the steep cliff. 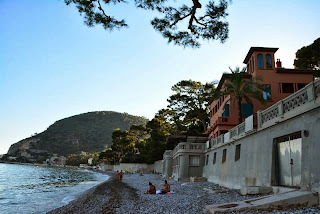 We stayed at another small town called Beaulieu sur Mer and used a more convenient way to reach Eze from there. We took a bus from the town, early in the day (yes for us 10 A.M. is early). The bus runs from Beaulieu to Eze village, twice every hour starting from around 9 A.M. up until 6 P.M. The bus drives along the Moyenne Corniche, one of three historic set of roads built to further Napoléon Bonaparte's ambitious Italian campaign. The view of the sea as the bus slowly cork-screws up the cliff is breath-taking. The first thing that we spotted after getting down from the bus at "Eze Village" is a perfume factory that claimed to be three centuries old. The tag 1747 just below the name "Galimard" marked its historic significance and a threat to our wallet. 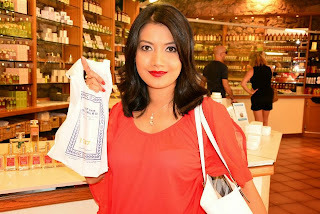 Before leaving Eze we bought two perfumes, though we did not opt for the "create your own perfume" workshop also available at the Galimard perfume factory. 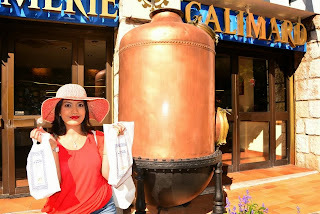 Later we realized that Eze has factories of all the three historical perfumeries of Grasse (perfume capital of the world) namely Fragonard, Molinard and Galimard, the latter being the oldest. Galimard has an array of 24 perfumes, classified into 3 categories : Floral (9) , Fruity (6) and Oriental (9) fragrances. You also have a detailed description of them and some exhibits related to the preparation of perfumes in the museum adjacent to the factory. The perfumes Brandille (Floral) and Demi-Mot (Oriental) pleased us the most, and we could not resist owning them. 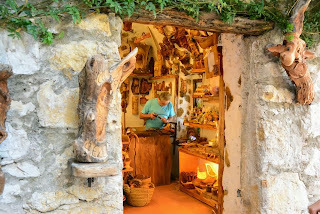 The village is studded with tiny shops and boutiques, pure in their medieval form, along the rounding and winding cobble stoned paths along which a long time back farmers walked by with their donkeys loaded with palm and olives from the farms downhill. As an evidence of the once existing village donkeys, the most expensive hotel of the village, Chevre d’Or (too expensive for us, costing more than €1000 per night) has a live and kicking donkey available for the public to see and even pet. In fact the village has just two hotels, both equally expensive and living upto the standards of the Riviera. 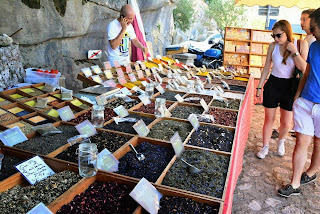 As we started our climb up the hill, we came across a village market specially dedicated to spices. 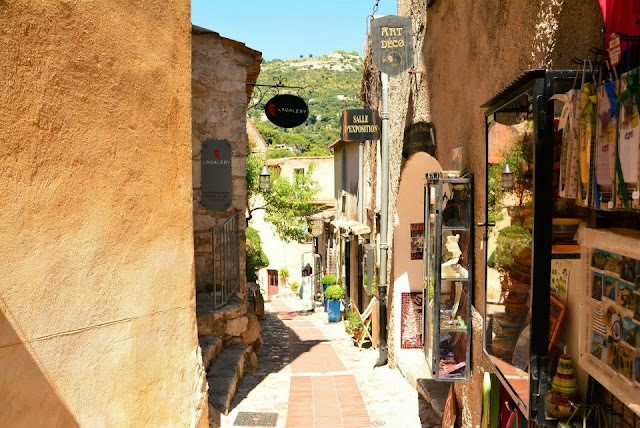 We would like to mention here, that though this region is termed as French Riviera, in a broader (and more French) sense, it is a part of the region of Provence. The Provencal culture is a feather in the cap of French culture and Herbe de Provence is an integral part of that culture. No wonder that you would find special spice traders, busy selling their unique merchandise at all village markets of this region. Apart from this the village has other boutiques, dedicated to local products such as carved wood, glass paintings, embroidery and paintings, most of which date back to the medieval era. 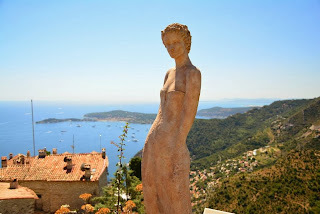 On the top of the cliff, we found the exotic garden of Eze. 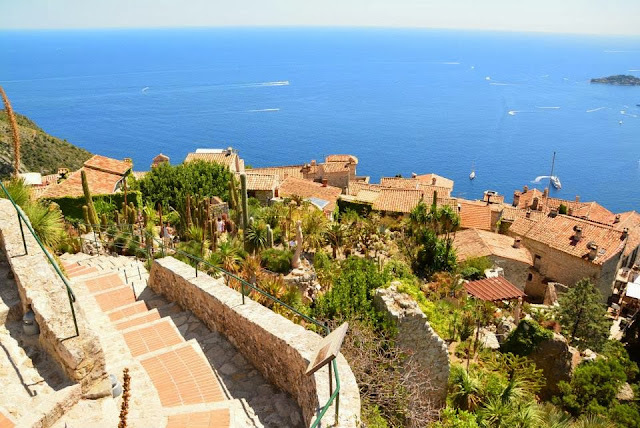 With a panoramic view of the Mediterranean, it was probably one of the best views that you can experience on the French Riviera and the €6 tickets for this garden is worth down to the last cent. We were so occupied with the splendid view and clicking ourselves some memoires that we did not care about the rare species of plants that were present there (not a recommended act however). The garden also has some interesting sculptures, all representing mythological women in their various forms. We found out later that they were installed there in the 1960s to represent feminism and that which in turn represents our “Mother” earth. The first statue that one would find, welcoming everyone that seeks to bask in this natural marvel, is that of Isis, the Egyptian divinization of mother, from whom the name of the village is believed to have evolved. A nice artificial waterfall and some deck chairs were also available in the garden, but lack of parasols meant that we could rest there only for a while just before we could burn ourselves. We were however not the only Bengali couple on that cliff. We met another Bengali couple in their seventies and enthusiastic about admiring the wonders this perched village had to offer. The main church of the village (Notre Dame de l’Assomption) is also worth a visit and is supposed to (according to Wikipedia) hold an Egyptian cross (ankh) to suggest its ancient roots. We however could not find this relic though we cannot say that we tried too hard. Finally after tasting some local (more Italian than French) delicacies at the restaurant aptly called “Nid d'aigle” (Eagle’s Nest) it was time for us to climb down. The downhill track that leads from the village to the sea-side is believed to be that path where the idea of “God is dead” occurred to German philosopher Nietzsche. Well don’t know about God, but it is one place where any man would feel more alive. 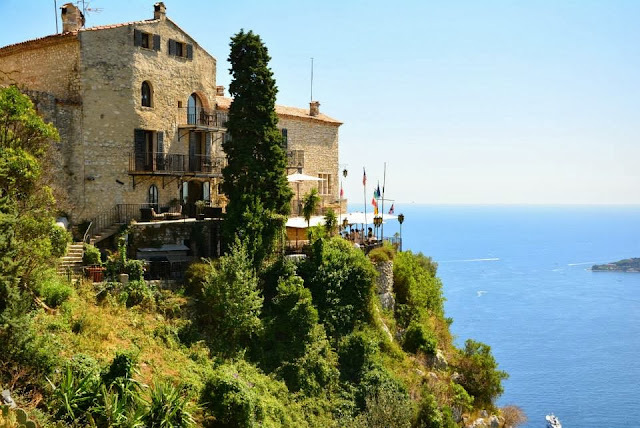 The beach of Eze is just as splendid as any other on the Riviera but the house of U2 lead Bono on it may be an added attraction. We were made aware of its presence, quite aptly, by an Irish tourist whom we happened to meet on the beach. Coincidentally, the entire U2 team was present in Eze that day and we saw them dinning on their open terrace overlooking the sea. But keeping in mind the French “etiquette” we did not shout out to them or disturb them (though we can’t deny that we wish we could, may be atleast dine with them). In the end however we had to wait for around 20 minutes for the bus back to Beaulieu, but we are not complaining. In fact after the view of a lifetime, walking around amidst heritage, and (oops forgot to mention earlier) a walk on the Moyenne Corniche, hanging on the sea about 400m above it, we just loved our trip up and back from the Eagle’s Nest.